Visit a Florida DHSMV office. Provide proof of passing a Traffic Law & Substance Abuse Education Course if you've never held a driver's license. Provide the required identity and residency documents. Pass the written knowledge test and the driving test. Pay the $48 Florida driver's license fee. For more details, keep reading! Ready to obtain your driver's license from the Florida Division of Driver Licenses? Then we're ready to help you along with the process! We'll guide you through the steps to take and documents to bring. NOTE: If you're a teenager, you will need to meet the requirements of the graduated driver licensing (GDL) program before you will be eligible for a Florida driver's license. Please visit our Applying for a New License (Teen Drivers) for more information. Florida issues REAL ID driver's licenses and IDs, which means Florida identifications may be used to board domestic flights and enter federal facilities. If you're new to Florida and have a valid driver's license from your previous state, you must have it converted to a FL license as soon as you become a resident. If you are a non-resident you must have a FL driver's license within 30 days of accepting employment or enrolling your children in public school. Follow the instructions listed below to apply for your FL driver's license. In addition to submitting the required documents and fees, you will need to surrender your out-of-state driver's license. 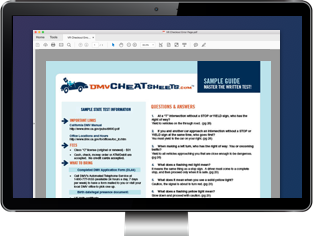 Your hearing, written, and driving tests may be waived if you have a valid driver's license from another U.S. state, U.S. Territories, and other countries. Testing is done at the discretion of the Division of Driver Licenses. NOTE: If you are younger than 18 years old, your parent or guardian will need to sign your application (unless you are married). The Florida DHSMV offers various types of driver's licenses depending on your age and type of vehicle you wish to drive. Non-commercial (Class E): Allows the operation of non-commercial motor vehicles without restrictions. Non-commercial (Class E) learner's permit: Allows teenagers to learn to drive under certain restrictions. Commercial driver's license (CDL) (Class A, B, or C): Allows the operation of commercial motor vehicles. If you're younger than 18 years old, you'll need to complete the graduated driver's licensing (GDL) program before you will be eligible for a driver's license. This requires obtaining a learner's license first and practicing supervised driving for the required amount of time. More information can be found on our Applying for a New License (Teen Drivers) in Florida page. If you're 18 years old or older, you will be able to apply for your FL driver's license. Florida is compliant with the federal REAL ID Act. This means you will automatically receive a REAL ID when you apply for your Florida driver's license. These IDs allow you to board domestic flights and enter federal facilities. Florida is compliant with the federal REAL ID Act. This means you will automatically receive a REAL ID when you apply for your Florida driver's license. REAL IDs are federally approved identity documents that allow you to use your license for domestic travel and entry into federal and military buildings. FL residential address (2 documents). Completed Traffic Law & Substance Abuse Education Course. Only required if you've never held a driver's license. Once you've passed the exams, you will be issued your new FL driver's license. Before you will be issued your Florida driver's license, you will need to pass both written and driving tests. Details for each are outlined below! Your written exam will consist of 50 questions (multiple choice) about road signs and local traffic rules. Questions will be based on information found in the Florida Driver Manual, which is available for download. If you fail the exam, you will need to pay a $10 fee to re-take it. Contact a Division of Driver Licenses office for more information about re-testing. To help you prepare for the written exam, the DHSMV suggests that you study the Florida Driver Handbook. In addition, we recommend studying with an online practice test to give you a feel for how the actual test format will be on the day of your exam. These study helpers are designed to help you pass the exam on your first attempt. Be covered by the minimum insurance required (you will need to show proof of coverage). If you fail your driving test, you will need to return to the DHSMV office another day to retake the exam and pay a $20 fee. Your Florida driver's license should generally take a couple weeks to be delivered. To check drivers license status, please go to the Florida Online Drivers License Status Check.